From the opera house and movie palace to the modern multiplex, and from Claymont to Delmar and everywhere in between, the big screen in Delaware is more than a century old. Hollywood legend Cary Grant visited the Playhouse Theater in 1955, fondly recalling his days on its stage as a child actor. Clint Eastwood came to Wilmington for a secret test screening of his film The Gauntlet at the Branmar Cinema. The groundbreaking history of Star Wars includes a Delaware theater that was one of only forty-five in the country to open the film. 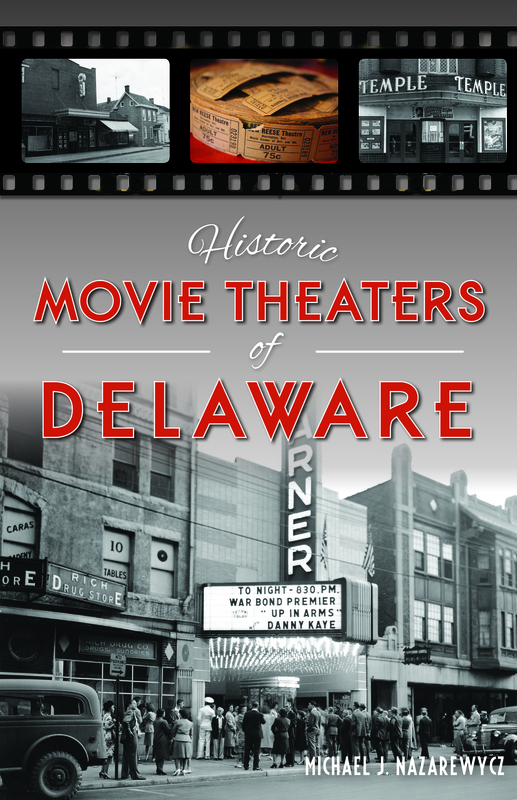 Author Michael J. Nazarewycz recounts the cinematic history of Delaware's movie theaters. Michael J. Nazarewycz has written for numerous online outlets, most recently the indie film site WayTooIndie.com. In 2014, he founded the MOT Film Society, where he has brought classic films to the big screens of Middletown, Delaware, often to help raise money for charity. He is married with two daughters. This is his first book.